Fallout: New California, an enormously ambitious mod for Fallout: New Vegas, is now out, finished and ready to play. 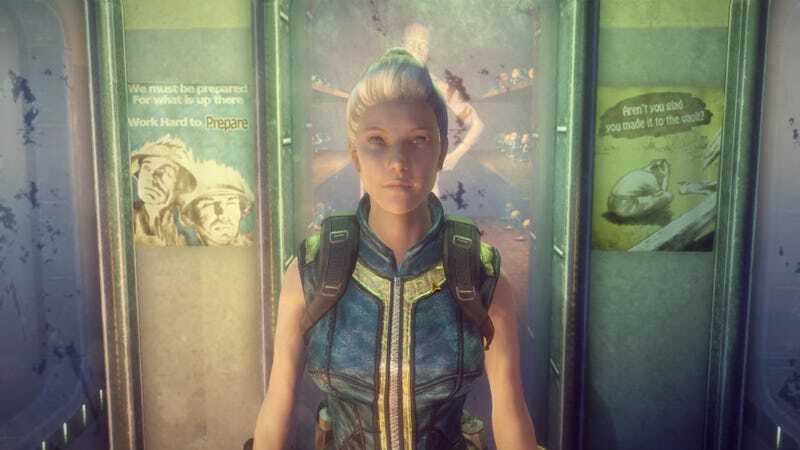 New California—built from the bones of an older mod called Brazil— is set in between the events of Fallout 2 and Fallout New Vegas, and to simply call it a “mod” is to sell it short. This is practically a brand new, fan-made Fallout game, that’s even got voice acting and takes place on a new map, with the game set in the Black Bear Mountain National Forest in California. Its release is timed well; Fallout 76 is out soon, and anyone disappointed that it’s a multiplayer affair, and not the traditional epic singleplayer RPG, can just try this out instead. You can download the mod here. As for how good it is, Nathan is playing it right now, and will have some impressions up on Kotaku soon! UPDATE: This post’s headline earlier referred to the mod being nine years old. It’s actually been in active development since 2012. Luke Plunkett is a Senior Editor based in Canberra, Australia. He has written a book on cosplay, designed a game about airplanes, and also runs cosplay.kotaku.com.